Swami Vivekananda correctly observed long ago that “It is out of the past that the Future has to be moulded”: it is the past that becomes the future. Those who had the privilege and good fortune of listening to Late Palani Subramania Pillai on the Mridangam and Kanjira will easily recognize the truth of the above observation of the Swamiji in the way Percussion playing in Carnatic Music has evolved in the past four decades. 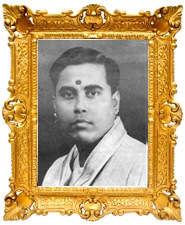 I personally consider having listened to Palani accompanying many of the Giants of my generation-whether it be the one and only Madurai Mani Iyer, The absolutely meteoric GNB, The rhythmically authoritative Alathur Brothers or a young and precocious Veena Balachander just to name a few – as the Pinnacle of Artistic Creativity and Achievement of the highest order. Palani elevated the concerts to a new higher level with his co-operative accompaniment. This applied not only to the major pieces in the concert but also to the ones near the end of the concert generally classified as “Thukk adas” (lighter pieces). Professor Tiruchy Sankaran (his major disciple) has pointed out not only Palani’s Demonstration (with Mudicondan Venkatarama Iyer) of the daunting Simhanandana Tala but his playing for the tukkadas as “exquisitely delightful”. His reference to Palani’s Playing for Kandan karunai, VellaiThamarai, Eppo varuvaro and the English note (all Madurai Mani Iyer Specialties !) brings back vividly the GLORIOUS Concerts in which his playing elevated the concerts to stratospheric levels which, even after forty years generate goosebumps and ecstasy!